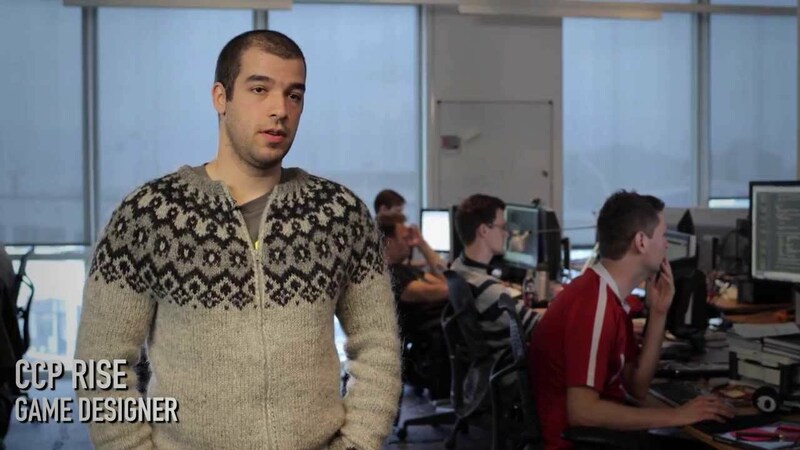 CCP Rise recently posted a developer response to player feedback of the revamped New Player Experience. Having recently been through the rigors of learning to play Eve myself, I have a few things to say about his response. CCP Rise’s post can be found here. I started playing Eve about two weeks before the Opportunities system was widely implemented, so I was greeted in the game world by Aura, who walked me through everything step by step. Guided me to career agents, and helped me complete the missions by explaining the tasks. After falling in love with Eve, I convinced my wife to start playing, and told her “Whatever you do, follow the tutorial.” She’s not one who likes me to watch over her shoulder and tell her what to do—I’ve learned this at my peril over the years—so after giving her this advice, I stepped back and let her play. The next day I got a message from her while I was at work. She said that this game was ridiculous and that the tutorial didn’t tell you anything! I was confused, because the tutorial I went through was pretty heavy handed at times. I frustrated her immensely in the next few hours, telling her what the tutorial should look like and how she’s just obviously missing something, and finally we agreed she would just quit until I could get home and help her out. After her logging in with me watching, I was confused by what I saw, and apologized. I checked settings, did some research and found that she had been given the new and improved system, where, just a few weeks previously, I had been given the old one. I apologized, and helped her familiarize herself with the game, explaining how to do the things that the Opportunities were prompting her to do. After showing her the basics of piloting her ship, I pointed her to the Career Agents and left her to her own devices. She got through several sets of the Career Agents before deciding that she just wanted to mine space rocks to help our friends who we had recruited out with raw resources to get us going. She stopped playing a few days later. I’m not certain whether the initial frustration caused it, or if Eve was just not for her. The half-hearted Opportunities certainly didn’t help. To me, Aura was a patient teacher that guided you along a sheltered path into the world of New Eden, where the Opportunity system is a cold hearted wilderness survival teacher that booted you out of a boat into the ocean, and yelled at you to sink or swim. I think Opportunities could be a good thing, if they would go a little bit deeper, and if they offered an optional bit of text to teach you how to do the action required to complete them. The deeper you go into an Opportunity tree, the less text there would be, and less hand-holding would be required. This would offer a better mixture of goal driven exploration of the game, and the instruction-based railroading of the old tutorial system. Can we send player straight to the career agents? 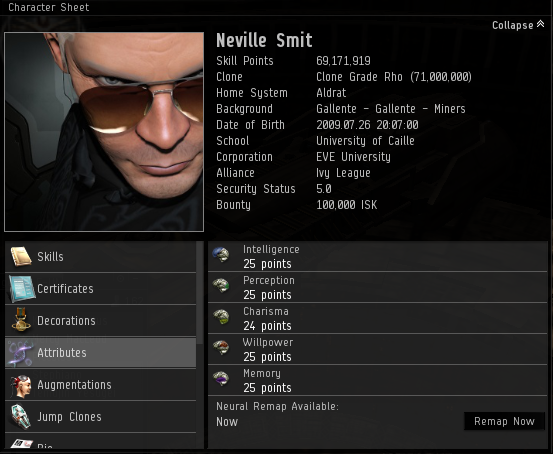 The Career Agents give you a very good look at what Eve is all about. 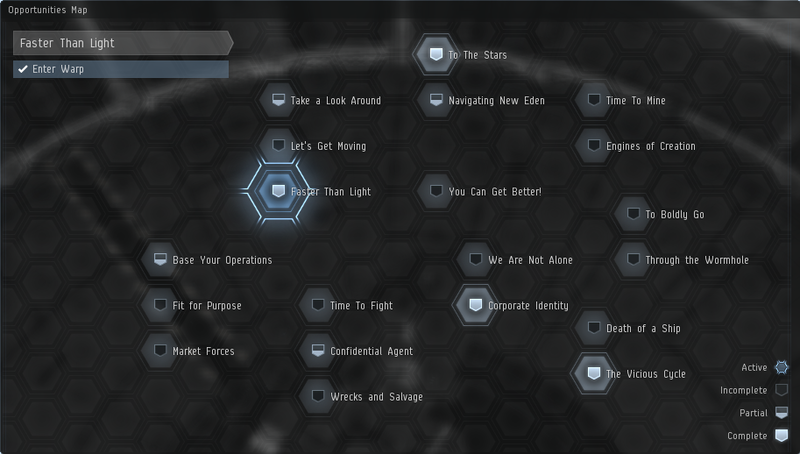 You get a very concise walkthrough of several paths you can take that will lead to hours and hours of content in Eve, and as a new player, you are showered with ISK, Ships, and other supplies to get you started. This is why nearly every veteran player refers new players to them. The Industry and Business agents teach you how the starting point of New Eden’s economy works. It shows you how you can earn a bit of ISK, even with very few skill points. Through mining minerals, crafting modules and creating ammunition, and shipping your goods between systems, you are taught that in New Eden, your time is money. The two Military agents walk you through increasingly complex missions concerning how to fight and fit your ships, and even when to escape when facing down overwhelming numbers. The only thing Military does not do is introduce you to player vs. player combat, which is something that I feel is greatly lacking. A third tier of Military training would be useful—maybe sending you to participate in Factional Warfare or a special newbie friendly PvP area. The Exploration missions are the worst of all the missions, and by far the most important. Scanning down signatures is vital for many activities in Eve, and needs to be explained better and in more depth. D-Scanning and Combat Scanning are completely absent from these Agent Missions—that is a mistake. If a player is ever expected to leave highsec, they need to be aware of how those two mechanics work in the game world. The Career Agents are not quite perfect, but they are the best tutorial system available to new players. Removal of Aura’s help with the missions reduces that value. Opportunities need to not only drive new players to the Agents, but in some way assist with the completion of the missions either through hints and advice, or through specific Opportunities for each Agent. Starting skills are a huge barrier, can we give a lot more to new players? Starting skills are a terrible barrier for new players. You can barely do anything in the game when you start playing, and some of the skills you are instructed to learn by the Career Agents take hours, which can end the night playing your new game fairly quickly. However, new players need to be taught that Eve is not a game where things are freely given—it will set them up for failure. Instead of just giving new players skill points in certain skills to boost them to being one to two million skill point pilots from day one, use a system you have recently developed and looking to improve to address this issue. When you complete an opportunity, have that opportunity either given the player skill points to allocate where they please, or better yet, have the opportunity automatically add skill points to certain skills related to it. This will encourage players to explore the Opportunity System completely, and assist them in overcoming the new player skill deficiency barrier. The end result of this, is more empowered new players who are not only able to fit and fly the ships they want effectively, but have been through the entirety of the NPE and are armed with knowledge of how to play the game. You also do not have a problem of entitled new players who feel that everything should be given to them with no effort, which would ease veterans’ reaction to this change. There is no magic bullet for this, and no matter how it is handled, you will be upsetting people. That does not mean though, the archaic system should be left in place. Attributes should be removed, and everyone should train all skills at the rate equivalent to an optimal remap for that skill, with the +4 attributes plugged in. This solution does leave a huge gap in the game; namely, what to do with the current implants. I believe they could be retooled with little complaint to something similar to implant slots six through ten. Have each former attribute align with a certain relevant core skill, and increase the pilot’s effectiveness a small amount. This would mean power creep being added into the game. However, as the majority of pilots already feel that having these implants plugged in is a requirement anyway, it should be an equivalent power creep across the entirety of all pilots, and therefore easily balanced. My proposed change also adds in a feel of what attributes traditionally mean in a Role Playing Game, and that is “Character Customization”. Each pilot will be different, based on what implant they choose to use in the “attribute” implant slots. I would like to thank CCP for being so open with its players. Many companies would not come to their players and ask for ideas so freely, but choose to hide their concerns behind a screen of non-disclosure agreements. To me, this compliments the sandbox feel of Eve very well. The players are able to drive not only the in-game content, but also the direction that the game they are playing is headed, and that is a great feeling.